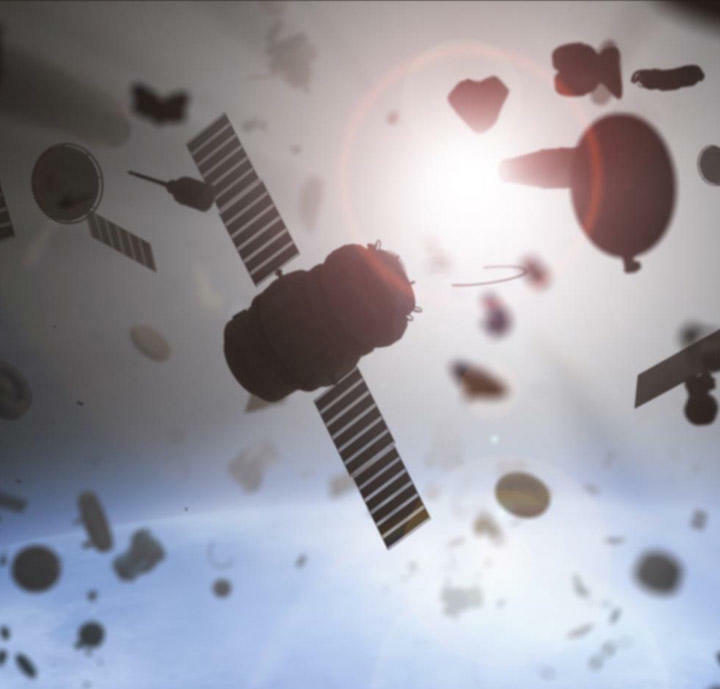 ‘Space Debris’ defines the large array of debris in space that bears a potential collision threat to all space vehicles. The term encompasses ‘Orbital Debris’, referring to the huge amount of objects of varying sizes that is in orbit around the earth. Much of this orbital space junk is man-made, a by-product of more than 5000 space launches that have taken place since the 1960’s, and includes anything from rocket stages or defunct satellites, to small bits of metal or even flecks of paint. Orbital Debris is typically travelling at very fast speed, almost 7 times faster than a bullet, and even relatively small objects bear destructive capability. The scale of the problem is large, and it has been estimated that there are well in excess of half a million pieces of orbital debris that are greater than 1 cm diameter, with more than 29,000 pieces larger than 10 cm diameter. There is increasing demand to detect and track orbital debris, even relatively small debris, given the destructive potential to current and future space missions. One of the leading methods to track orbital debris is through use of ground based optical telescopes, utilizing a high performance scientific digital camera at the focal plane. The detector must be highly photon sensitive, in order to detect signal from smaller debris, ideally whilst using sub-second exposure times. It must also have a large field of view in order to sample more of the sky, thus enhancing the statistics of detection. It is also advantageous that the camera can operate at up to several frames per second, thus enabling relatively fast moving objects to be tracked without motion blur effects. 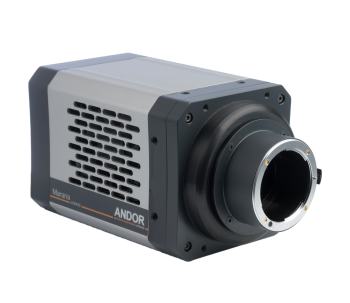 Scientific CMOS (sCMOS) camera technology is becoming increasingly recognised as the leading detector technology solution for ground based optical Space Debris Tracking. The high QE and low noise properties of sCMOS technology render it highly sensitive, without having to sacrifice frame rate (a common trade-off with CCD technology). Furthermore, the multiplexed readout architecture of sCMOS means that multi-megapixel devices are commonplace, meaning larger fields of view can be realised. Detect small and faint objects Marana is optimized for detection of the photon starved signal from small objects by virtue of having 95% QE combined with sub-2 electron read noise and -45 C vacuum cooling for dark noise minimization. Search more sky Marana combines a 4.2 Megapixel with 11 um pixel size, yielding a large 32mm diagonal sensor. Track without blur Marana can operate in full resolution at up to 48 fps, temporally over-sampling even fast moving low earth orbit objects. Accurate size assessment and light curves Accurately measure the light curves of moving/rotating objects and quantify objects of varying sizes with photometric precision, due to Marana's dual amplifier extended dynamic range technology combined with enhanced 99.7% quantitative linearity. Low maintenance and minimal down time Marana is perfectly architected for sustained usage in remote observing locations. The vacuum sensor enclosure combined with shutter free operation provides the ultimate in performance longevity.